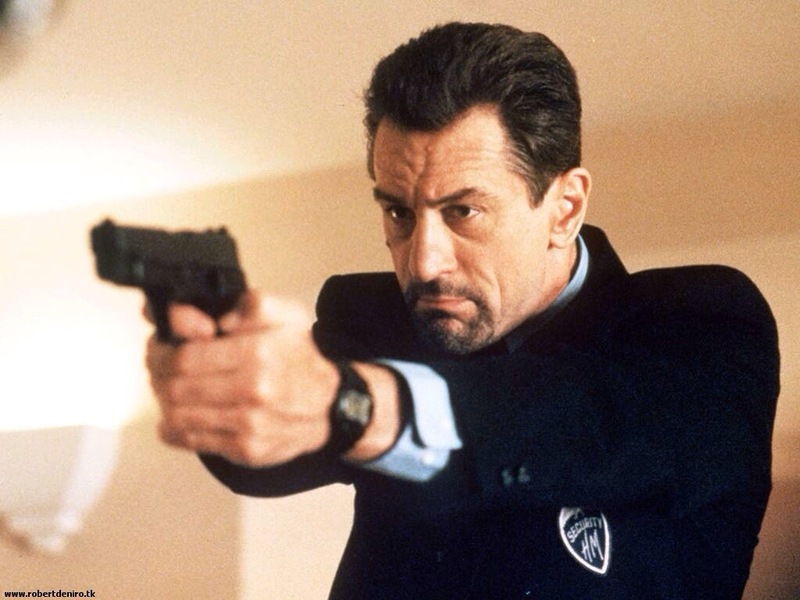 1: Much of Michael Mann’s “Heat” was based on a real-life confrontation between Chicago cop Chuck Adamson (renamed Vincent Hanna in the film and played by Al Pacino) and the real Neil McCauley (played by Robert DeNiro). Adamson was a retired police officer whom director Mann had been working with off and on since the film “Thief” in 1981. They later worked together on two of Mann’s TV shows “Miami Vice” (1984) and “Crime Story” (1986). According to Chuck Adamson (and confirmed by Michael Mann), McCauley was a professional robber whom he had frequently crossed paths with. Events such as the scene between Hanna and McCauley in the coffee shop and the warehouse sting where McCauley got tipped off that the cops were around due to an officer making a noise really happened. In real life, Neil McCauley was killed during the robbery of a grocery store (similar to the bank heist shootout in the film) by Adamson’s team who were tipped off to the robbery. 2: Mark Ruffalo was set to appear in M. Night Shyamalan’s “Signs” in 2002 but had to drop out when he was diagnosed with a brain tumor. His part went to Joaquin Phoenix. The brain tumor Mark was diagnosed with was found to be benign and following brain surgery, he fully recovered after suffering from a partial facial paralysis. 3: There are five actors who have portrayed Tom Ripley onscreen: Alain Delon in “Plein Soleil” (1960), Dennis Hopper in “The American Friend” (1977), Matt Damon in “The Talented Mr. Ripley” (1999), John Malkovich in “Ripley’s Game” (2002) and Barry Pepper in “Ripley Under Ground” (2005). None of the films have been officially connected to one another. 4: Gina Gershon had been originally offered the role of Sharla in “Killer Joe” almost 20 years previously when the script was for a play, but she turned it down because she could not imagine performing the infamous chicken-leg scene “eight times a week” on stage. 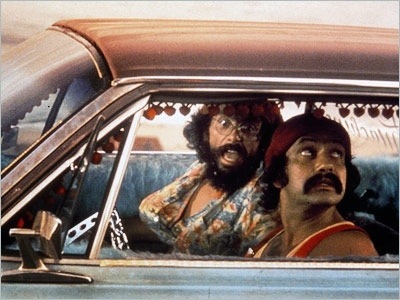 5: In Cheech & Chong’s “Up In Smoke” (1978), the car that Chong drives at the beginning of the movie is actually owned by Jack Nicholson. 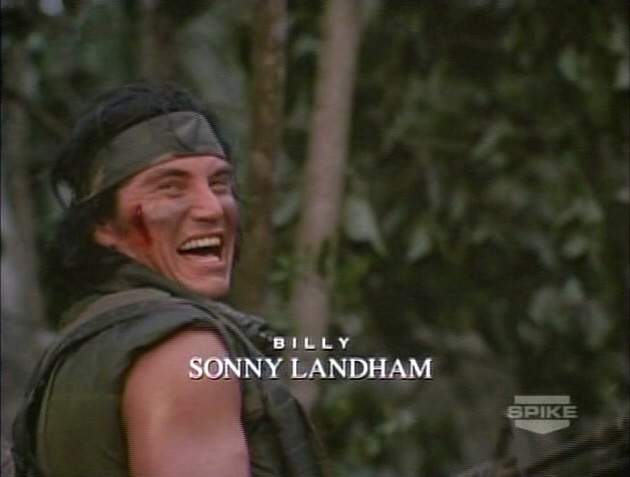 6: “Predator” actor Sonny Landham was apparently very volatile and a bit of a loose cannon. So much so, that the insurance company for the film issued him with a minder to keep him out of trouble. This still didn’t stop him from rappelling out of the top floor of his hotel at three in the morning, drunk, naked and wearing his underpants on his head. He went down five floors before swinging into someone else’s room. 7: Aaron Paul actually auditioned for the role of Francis, the oldest son, on “Malcolm in the Middle” which starred his future “Breaking Bad” costar Bryan Cranston. 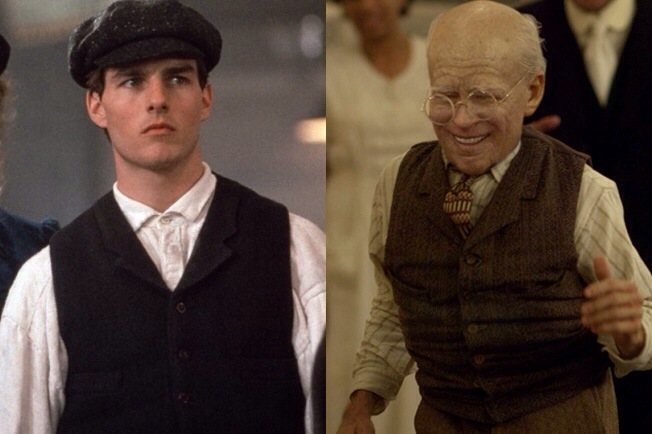 8: Before David Fincher took over “The Curious Case Of Benjamin Button” it was once attached to Steven Spielberg in the 1990’s with Tom Cruise as the lead. In 1998, Ron Howard was set to direct, with John Travolta in the lead and Spike Jonze was also in talks to direct at one point. 9: Much to Austrian director Fritz Lang’s dismay, Adolf Hitler and Joseph Goebbels were big fans of his film “Metropolis“. Goebbels met with Lang and told him that he could be made an honorary Aryen despite his Jewish background. Goebbels told him “Mr. Lang, we decide who is Jewish and who is not“. Lang left for Paris shortly afterwards. This entry was posted on June 10, 2014 at 2:40 pm and is filed under Uncategorized with tags 2014. You can follow any responses to this entry through the RSS 2.0 feed. You can leave a response, or trackback from your own site. Lucky escape for Fritz Lang! Indeed it was Mikey! A very lucky escape. Apparently Goebbels offered him the job of Head of German Cinema Institute before Leni Reifenstahl but he refused. I think this was when he decided to disappear to America. 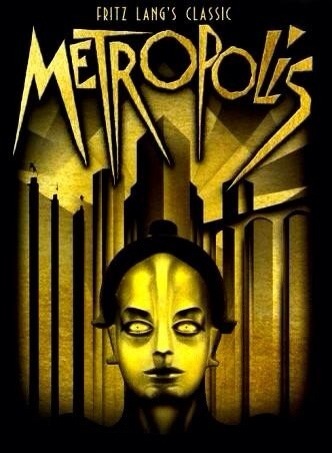 I know Fritz Lang has a lot of disdain for Metropolis because of the Nazis’ like of the movie. I never knew Aaron Paul tried out for Malcolm in the Middle; it’d be cool to see Jesse Pinkman as Cranston’s son on the series. Great trivia as always. Thanks a lot, Charles. If I were Lang, I reckon I’d have a lot of disdain if the nazi’s had taken to my film too. That’s attention that you could do without. Lots of fun reading these and I like how disparate they all are. The first 3 and #8 are very interesting. I really l liked Benjamin Button and the cast and, well, everything about it. It is fascinating the ingredients necessary to create a film. The changes are amazing. It’s seems like a crap shoot most of the time. I thought I was the only person in the world who disliked Forest Gump. It did nothing for me. But Benjamin Button is a short story by Fitzgerald and I believe that’s why it’s better by than FG. 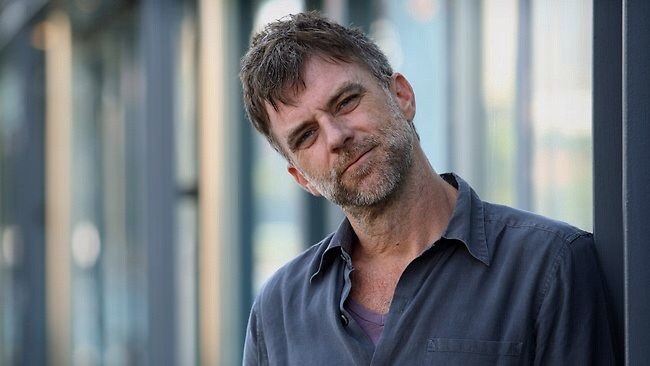 I adore Spike Jonze, but I really admire Benjamin Button. It’s beautiful. Maybe I should give Button another go but I remember being quite bored by it. It was very well shot and acted but I wasn’t keen on its pace. I think I’m in the minority there, though. Love these. They are so interesting. Number 6. That’s a classic! I wonder if he ever got so wasted on set he thought the Predator was real? Good read as always Mr M.
Haha! Landham was certainly a character. Who knows what went through that guy’s head, man. Cheers Stu! Cheers Fernando. 10 really struck me too. Loved how Anderson tied his father’s deal into his own career. I had no idea there was more than one film on Tom Ripley, or that there was a series of novels they were based on. Interesting to know. Yeah, Patricia Highsmith was the novelist, Morgan. I haven’t seen Plein Soleil or The American Friend but those were the original adaptations of The Talented Mr. Ripley and Ripley’s Game respectively. Thanks for dropping in my man. Good to see you around the blogosphere. Haven’t seen you posting in a while. Yeah, my blog’s been on hiatus for a while as my time’s been limited. I’ve been lurking and occasionally commenting on other blogs, but I’m usually a bit behind on my reading. Great catch on ‘Malcolm In The Middle’. Cranston was showing great range then as Hal. Physically and facially, Aaron Paul is very similar to Francis. In a comedy where the entire cast had the chance to have their reach exceed their grasps. Fritz Lang was no fool and had connections in New York and Hollywood before leaving Europe. Highsmith created a treasure trove of work with many superb adaptations. And Ripley is a deeply rich character to play with. Yeah, all you have to do is look at Malcolm in the Middle and breaking Bad to see the extent of Cranston’s range. Top quality actor. Agree don the rest as well. However, I wasn’t familiar with Ghoulardi. That one was new to me. Lots of interesting stuff, as always. Love the tidbit on Lang. And if I’m Mark Ruffalo I’m counting the tumor that caused him to miss Signs as a blessing in disguise. Haha! Yeah, Ruffalo could consider himself getting away with that one. Not M. Night’s worst moment but not that memorable either. Well if Landham was wearing underwear on his head, he wasn’t completely “naked” now was he? Awesome trivia tidbits. My favorite tidbit is the one about Mark Ruffalo. The one about Sonny Landham is pretty crazy stuff. Speaking of Aaron Paul, have you seen the video of him as a contestant of The Price is Right? It’s neat to see celebs before they became famous. Gina Gershon was right… imagine doing that so often… it was awkward enough once. The Fritz Lang tidbit… that is so insanely messed up! Wow! Yeah, wise decision from Gershon. That’s above and beyond that one. I wonder what poor actress took the stage play on though.?! Actually a very good question. Awesome trivia set once again Mark, I always enjoy this feature! WOW I didn’t know HEAT was based on a real-life confrontation in Chicago, that’s fascinating! Glad to hear Mr. Rufallo didn’t have a tumor, oh my! Oh, Plein Soleil or Purple Noon is on my Blindspot this year, can’t wait to see that. Alain Delon is so gorgeous, he’d be a perfect Ripley! Thanks Ruth. The Heat events were new to me too, until recently. I had no idea that McCauley was a real guy. I’m hoping to catch Plein Soliel myself one day. I’ve heard it’s very good and Delon was a fine actor. He was great in Le Samourai. Le Samourai was my intro to Delon but I remember my late mom liked him [she obviously had a penchant for gorgeous foreigners like me, ahah]. I hope to catch Purple Noon later this Summer! Hey mate, what’s your process on this? Do you just hang on to stuff that you find until you have enough for a post, or do you research them all at once to fill up the content? Is there a plan or is it really random? When I do research I look a few places but generally I use the info. This seems like you have found stuff that would be useful but does not fit at the current moment so you just put it aside. Very much enjoyed reading the bits. It’s actually a mixture of both, Richard. Sometime I’m way ahead of myself and have a list as long as my arm. Other times, I’ve not done my homework and go digging to fix a post up. Most of the time, though, I always jot down things as and when I come across them. Glad to hear you like them, man. Thanks buddy! 9 is fascinating. You know how much of a fan of these I am. For once I actually knew one of these (namely the Predator one)! Needless to say this is always a great read Mark. I out of 10? In that case, I’m glad to be of service. 😉 Cheers Mark! Dang, never knew that about Ruffalo. And yet here he is today, never stronger. Awesome stuff! Yeah, lucky guy, man. 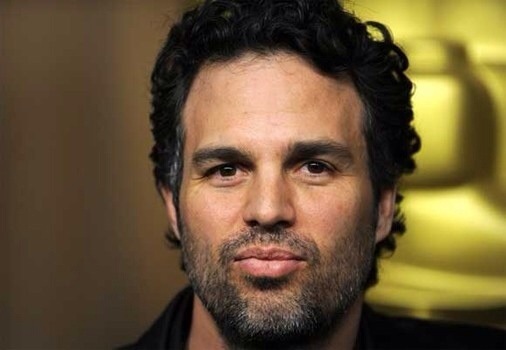 I do like Ruffalo, though. Cheers Chris! Top stuff as always here Mark. That’s crazy about Fritz Lang. Imagine having Hitler as a fan of your work?! As there always is: a lot of interesting stuff there. Aaron Paul on. Malcolm in The Middle? Interesting. Ditto that for how long Benjamin Button floated around before finally getting produced. Cheers Josh. Aaron Paul on Malcolm certainly is something but I’m glad he didn’t get it. 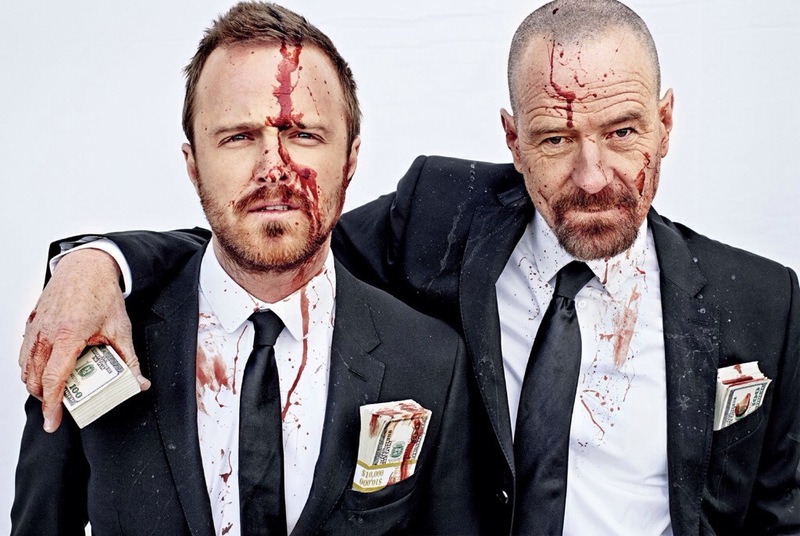 Breaking Bad wouldn’t have happened for him and I thought he was perfect in role alongside Cranston. Ha! Bad, indeed! Their exchanges throughout the entire series were sublime. What the hell, not only did I not know about the casting trivia in 2, I never had any idea that Mark Ruffalo once had a brain tumor. Jesus, that’s scary.